Confectionery brand Skittles showed less can be more when responding to a tricky comms situation. At a time when many brands have faced criticism for their crass, opportunistic responses to world events – think Crocs’ David Bowie tribute or Homebase’s #RIPPrince tweet - Skittles showed that sometimes an understated approach is the most effective when dealing with a genuinely difficult comms challenge, albeit one not of its own making. 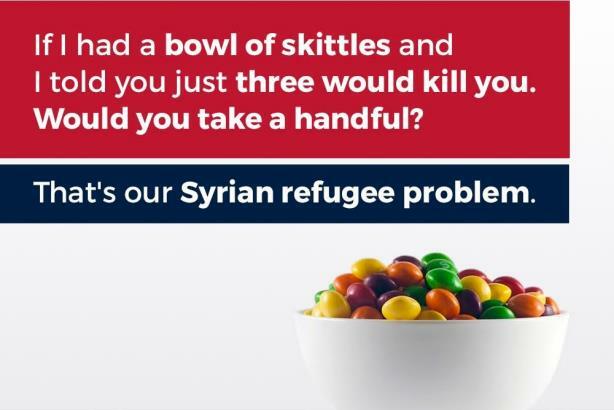 The confectionery brand was unexpectedly in the eye of a political storm last month when Donald Trump Jnr used Skittles as an analogy for refugees. All eyes were on how Skittles and parent Wrigley would respond. Instead of an inventive meme or long-winded press release, a short statement was provided to media outlets on request. "Skittles are candy. Refugees are people," the statement said. "We don’t feel it’s an appropriate analogy. We will respectfully refrain from further commentary as anything we say could be misinterpreted as marketing." Skittles maintained the moral high ground and avoided appearing to milk the publicity. At the same time, it made clear its opposition to Trump Jnr’s much-derided analogy in a concise way, which is important for a brand that has associations with racial harmony. Skittles did this without being drawn further into a (probably pointless) political spat. Incidentally, the advertising value equivalent of the episode for Skittles across all platforms has been estimated at millions of dollars. Trump Jnr’s tweet led to an increase in online discussion about the brand, particularly among the 55-to-64 age group, according to recent data. While this is not wholly a result of Skittles’ actions, the brand certainly avoided negative repercussions with its deft response, and strengthened its own brand credentials in the process.